Many (including author Joanna Penn) have predicted that audio, via podcasting and audio books, will increase in popularity due to the launch of Apple CarPlay and Google Cars. And indie authors do have the option to publish to an audio book format through ACX. There are a few things to consider before we get started. First of all, are we qualified to narrate our books ourselves (do we have the necessary equipment and expertise…and time…to take it on)? If we would rather use a professional narrator/producer, would we rather pay the narrator/producer upfront (do we have the cash on-hand) or would we rather participate in a royalty-share option? Do we want our audio book exclusive to ACX or non-exclusive? 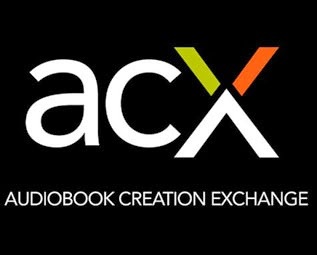 My opinion…ACX gets our audio books on Audible, Amazon, and iTunes and ensures us a 40% royalty (unless we opt to share that royalty with a narrator). Although I usually don’t condone exclusivity for authors, here I can’t see the point in going non-exclusive and getting the 25% royalty. Besides, anyone interested in the royalty-share option must be exclusive to ACX. If we choose royalty-share, are our book sales and social media presence strong enough that our project looks appealing to narrators? If so, we need to pitch our presence and our sales on our audio book audition listing under “additional comments.” We should understand that narrators who consider royalty-share options are taking a tremendous risk in terms of their time—this may result in fewer auditions for us to choose from unless we’re fairly successful authors with a good track record. We also need to consider how we want our books to sound while being read. More about that below. announcer, articulate, brooding, deadpan, engaging, enthusiastic, female narrating a male part, feminine, flirtatious, frightened, girlish, hip, host-interviewer, husky, hysterical, informed, ingénue, inspirational, intimidating, male narrating a female part, masculine, mature, nasal, perky, raspy, refined, snarky, sheepish, soothing, storyteller, sultry, upper-class…you get the idea. My thoughts on ACX: Although audio books don’t supply me with a staggering amount of income, the income it does provide is pure profit and a consistent monthly payment. My only part in the process has been choosing narrators, listening/proofing the finished audio, modest attempts at promoting the audio book, and then receiving checks. The narrator, as the producer, has the bulk of the work…taping, editing, and formatting/uploading the finished product. Have you explored going into audio books yet? Are you an audio book listener? 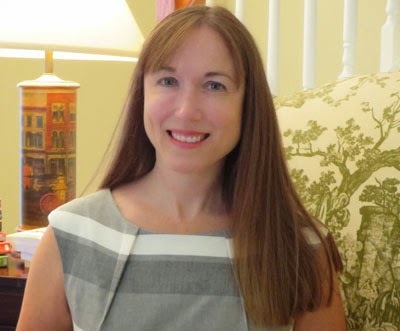 Elizabeth writes the Southern Quilting mysteries and Memphis Barbeque mysteries for Penguin Random House and the Myrtle Clover series for Midnight Ink and independently. She blogs HERE and curates links on Twitter as @elizabethscraig that are later shared in the free search engine WritersKB.com. Thanks for hosting me today! IWSG is a wonderful resource for authors. Thank you for joining us today, Elizabeth! Since audio books are on the fastest decline, I think the royalty-share option is the best. Then you're not trying to make back an investment on top of everything else. Diane--If possible, royalty share makes the *most* sense for authors. No financial investment upfront, that way. This is really helpful! Thanks, both. I think it's just smart for authors to have their books available in as many formats as possible, especially audio. A lot of people prefer it. Margot--Audio seems to be a popular option for many readers! Thanks for coming by, Margot. Audio is a great way to reach readers, I think. One of my favorite narrators is Cherry Jones. Great and informative post, Elizabeth. Thanks for the great information. I've been talking with my publisher about audio books. Patt--I know...there's so much out there to try, isn't there? Teresa--I'll have to look her up! I'm just starting to be an audio *listener* now that I have more dead time (exercising, mainly). Susan--That can be a tough conversation! I know I've had no luck getting audio rights for my trad pubbed books. Best of luck! It definitely seems wise for Indie authors, and very intimidating. Thanks for help in how to think about all of it! Great post, Elizabeth! I've used ACX and the experience has been great. I do the royalty share and I've used a very professional narrator who has his own studio. The only problem is they've cut royalties in half since they started, so the two of you have to split a 40% royalty, so unless you can get "bonuses" for signing up new members, the payment is pretty meager. Hart--It's actually a pretty easy process, I promise. They guide us through it. Anne--The royalties have definitely decreased. For me, though, I'm looking at it as...this is income I wouldn't have had otherwise. It's the biggest game in town and unfortunately, they hold their content providers hostage! But there currently are no better options. Maybe, when our contracts are up for renewal in 7 years or fewer, we may have more audio retailers to consider. I've been listening to audiobooks from my library for years, but I'd like to do a subscription service like Scribd and listen via my phone and bluetooth in the car. I'd prefer to hire a narrator. My voice is aweful, but a trained narrator could likely increase sales. I went through ACX to get an audiobook of my historical fiction. Went the royalty share before they changed the %. Since then I've found it hard to get a narrator willing to do the royalty share for my other published novel. I need a female voice. I have sold only a few of the audiobooks. Still, I'm happy with the one I have. I give away codes at book talks and book clubs. Stephsco--I've heard good things about Scribd. I haven't personally done this, but my understanding is that we can use the Audible app to download audio books onto our phone and listen through bluetooth there, as well. Amazing what we can do with technology now! Dolorah--Narrators can make all the difference! I have 21 books in Audio form through ACX -- and Royalty Share was the only way I could do that. Robert Rossmann and Francene Lockett are two of the best narrators I have heard and I have had the rare good fortune of snaring them for many of my audiobooks. I think the royalty share is a great system but sadly it's only available for the US and UK, so those of us outside those countries don't get that option! Roland--That's a lot of work on ACX! Congratulations. :) Those sound like wonderful narrators, too....it does make a tremendous difference! Celine--Hoping that ACX makes good on their promise to expand the program! My sister has been pushing me to make audiobooks, so thanks for the valuable information. It's a lot to think about. Karen--Glad you're looking into it! Thanks for the info. When I eventually publish a book, this is something to consider. Thanks for the great information. I've been considering audiobooks, but I haven't taken the plunge. Michelle--It's pretty exciting to hear your book narrated! Hope you'll check into it. Tyrean--Good luck to you with it! Hilary--Great commenters, for sure! I've enjoyed being here. :) Thanks, Hilary. This is right on time for me. I've been think about audio books. Thanks for the info. Toinette--Hope it helps! Thanks for coming by. I used to lisen to audio books (cassettes) back in the day when I would work the overnight and needed something to occupy myself (had HBO but none of the other movie channels). But even though I picked up a bunch of discounted audio books, I can't bring myself to listen to them. If I'm listening to something that requires most of my attention (i.e. listening to sports on the radio or editing a story) I have to be doing something to keep myself focused. I treat audio books like an actual book, and whereas you can read a book anywhere, an audio book requires the listener (such as myself) to sit absolutely still, and due to a very mild ADD/OCD disorder, I really can't just sit still when I'm doing something as mundane as listening to an audiobook. Thanks, Elizabeth. You answered questions I didn't even know I had. G.B. : I have a hard time, too. I have to be exercising or doing housework when I listen.